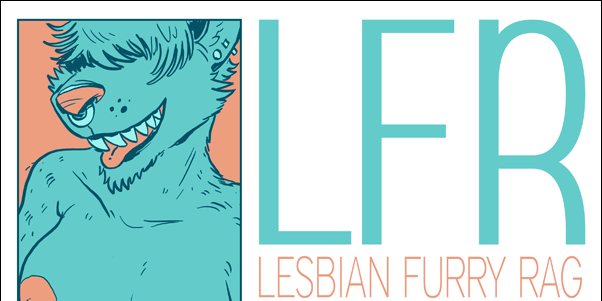 There’s a new, decidedly adult-oriented furry fanzine in the works, and its currently seeking contributions. Its intentions are stated pretty clearly by the title: LFR, which stands for Lesbian Furry Rag. The editors are looking for stories, illustrations, and comics “of the girl-kissing-girl persuasion”, to quote them, and female characters of all body types are welcome. Ratings run from pretty and romantic to full-on erotica, with an emphasis on the pleasure of the ladies, rather than the “fetish” sort of lesbian scene meant to entertain straight males. Visit their Tumblr site to find out more about how to contribute and what they’re looking for.